The first time I saw Alhambra it looked magical in the setting sun. We had walked up to the San Nicolás viewpoint to spend the evening. The plaza was alive with people! Vendors selling jewelry, lovers kissing in corners, kids running around, musicians playing instruments and lots of tourists from all over the world. Everyone was there for the commanding view. The musicians were flamenco guitarists and they had the entire crowd clapping and shouting "Olé!" in time to their music. A teenaged couple spontaneously began to dance. They looked so sweet together. See the dancing couple on the far left? Aren't they the cutest? We had tickets to go inside Alhambra yesterday. We were so excited! Our entry time was 8:30am which was a perfect time of day. Nice and cool and not very busy. Once inside, we were so grateful for the lessons learned from our guide in Fès, Monsieur Thami. He unwittingly gave us the perfect Alhambra primer! 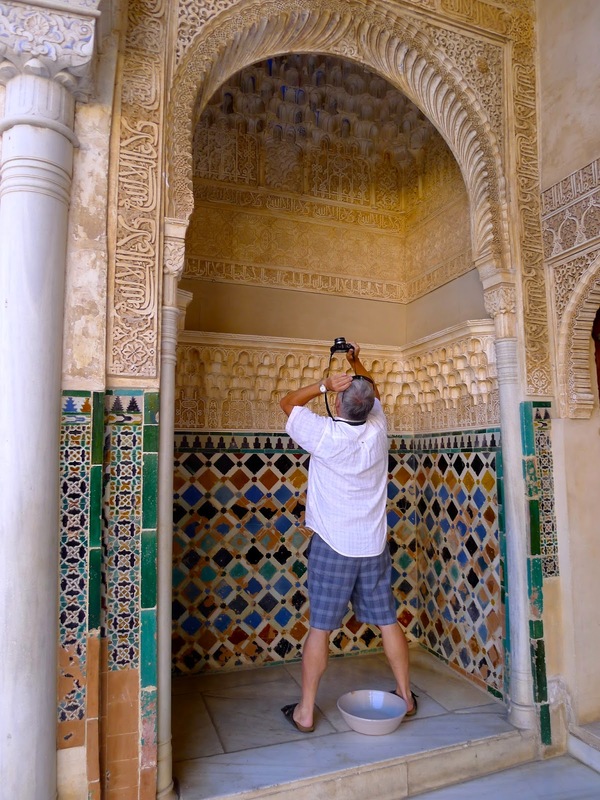 Thanks to his tutelage, we already knew a lot about the mosaics, the carvings, the tile work, the history. 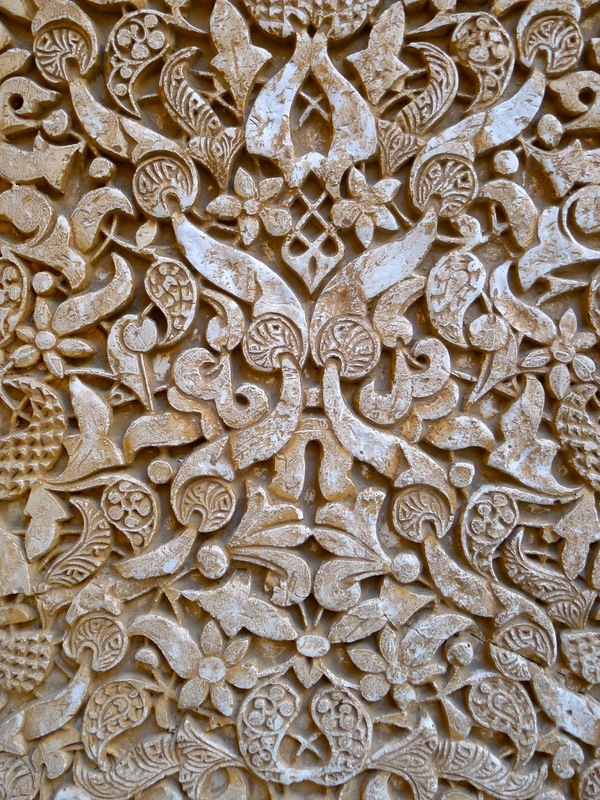 The Alhambra is the last and greatest Moorish palace. 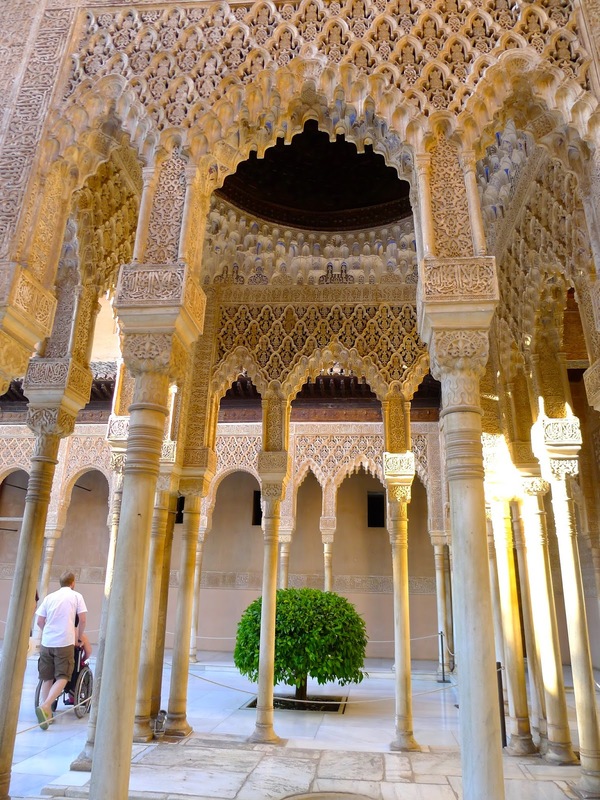 While Europe slumbered through the Dark Ages, Moorish magnificence blossomed in Granada. 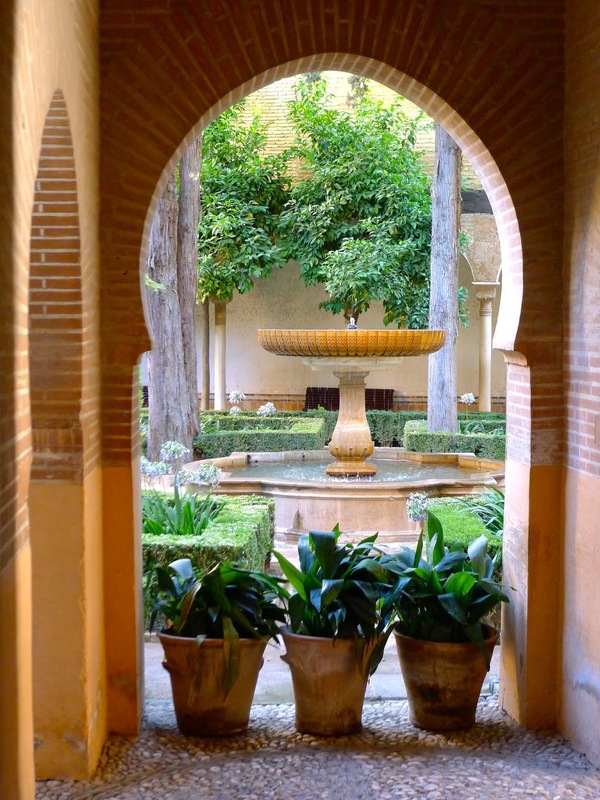 Lush gardens, colors galore, scalloped windows framing Granada views, ornate stucco, plaster 'stalagtites', and water everywhere. And I mean everywhere. There are no water restrictions in Alhambra. Alcazaba, the original 'red castle'. This tower defended a town of 2,000 Muslims living within Alhambra's walls. View of the Albayzín neighborhood of Granada. There is so much beauty to photograph! We didn't know where to look first. Courtyard of the Lions. 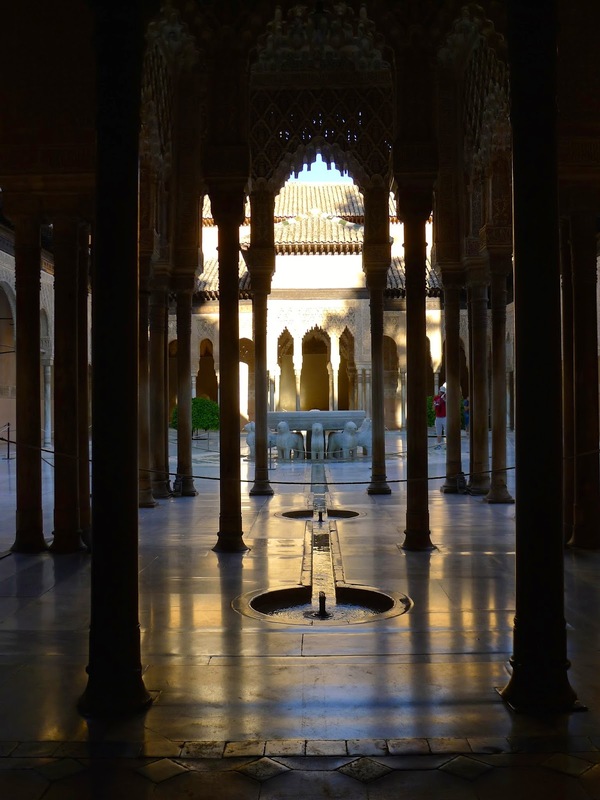 During Moorish times, the fountain functioned as a clock (there being 12 lions) with a different lion spouting water each hour. Conquering Christians disassembled the clock to see how it worked and it has never worked since. Views of Granada from the Alcazaba Fort tower. 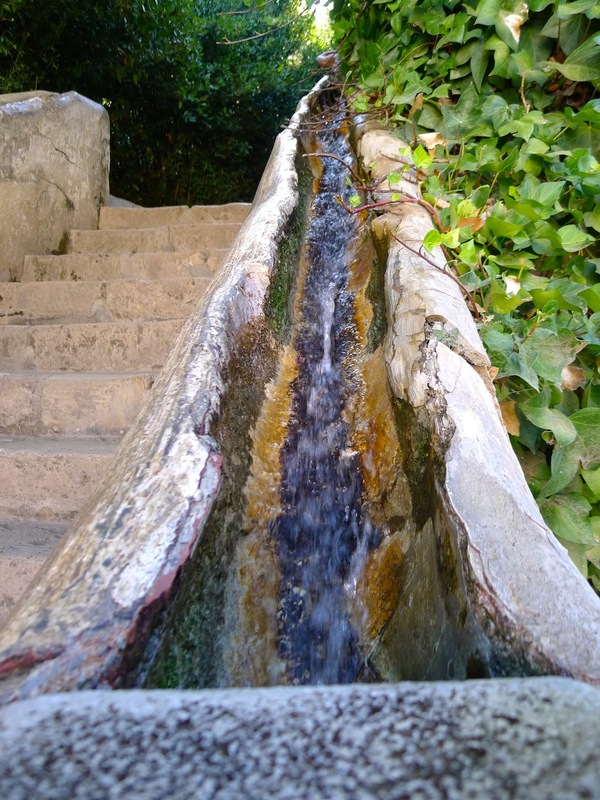 The Water Stairway. Even the handrails spout water! We loved Alhambra so much we bought tickets to go next week to see it at night. 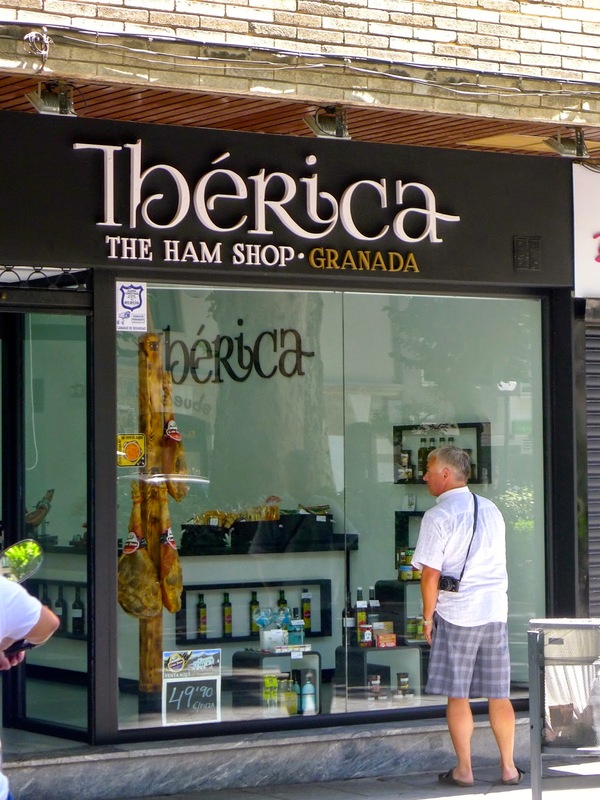 And in other breaking news, Joe is still trying to figure out a way to smuggle an entire Iberian ham back to Canada.